The latest issue of Rock Sound Magazine features an illustrated poster of Green Day. I really dig the artwork. 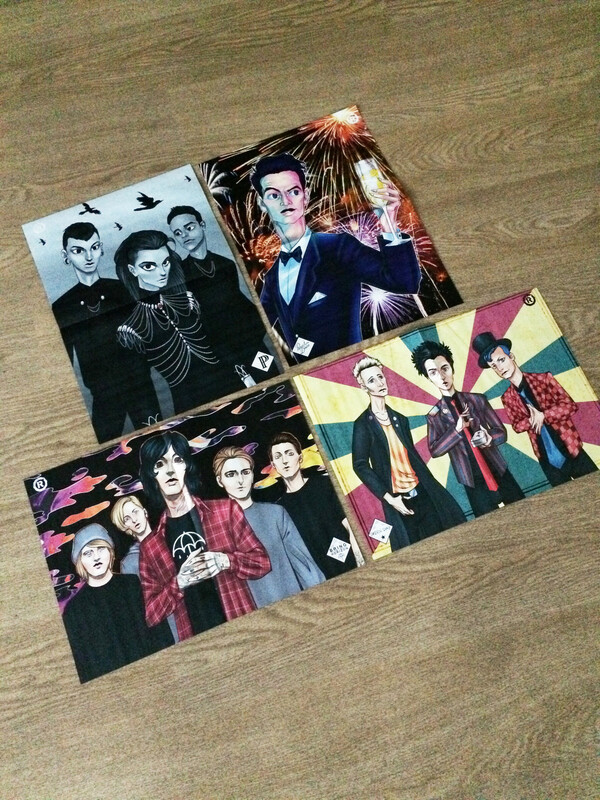 If you wondered what Green Day would look like as illustrations, this is it. Green Day are featured alongside other artists such as Bring Me The Horizon, PVRIS, and Panic! At The Disco. More details available from RockSound.tv. NEW MERCH: 'Vote Billie Joe' campaign buttons! Pre-sale now!